You've all seen our awesome, popular, customizable hats before---where your options are endless! And of course, we think they're great for those of you in the industry, wanting to sport your company's number or name, etc. 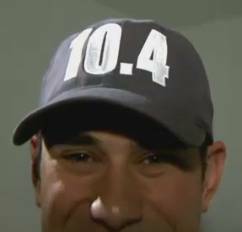 But we've also encouraged you to get creative with the hats, too! In fact, we talked about getting creative with your favorite sports team or player. Remember that post? Well, recently--one of our employee's here at TheFireStore got creative in gifting one of her friends with these hats, for a reason that we find just too unique and cool not to share with you! Pretty awesome, yes? What an amazing and unique opportunity to have extra fun with the customization of these great hats! We loved this story, and we thought you would, too. 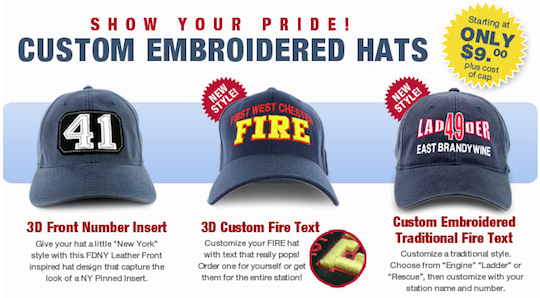 Get creative in customizing your hat today!